Relationships can be difficult, and even the happiest of couples can face conflict during stressful times. We at Bergen Alliance can help you mediate your differences with compromise to potentially reach an understanding that not only solves the immediate conflict but enable you to experience a more fulfilling relationship in the future. 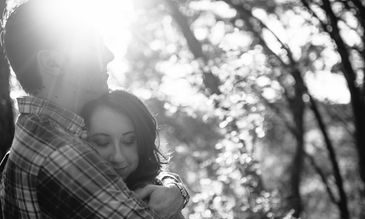 We offer our couples a warm, friendly, non-judgmental environment to help ease distressing situations. People in relationships seek counseling for a number of reasons such as, power struggles, independence, communication problems, financial problems, sexual dissatisfaction, and infidelity. The longer a couple waits to enter into couple therapy, the harder it is to repair the relationship. we urge couples to come in when the problems become consistent and overshadow the happiness. We will work to address the many aspects of the relationship that are problematic for one or both individuals. The primary focus of relationship therapy is communication. Quite often couples who are not communicating, begin to engage in conflict, avoidance, heated power struggles, and resentment. Our therapists will begin by teaching each person how to regulate their emotions, stay calm, and use positive communication skills to resolve problems. Each individual needs to be motivated to the process and want the relationship. Many couples forget how to listen, compromise, communicate, and resolve conflict without blaming the other.
. Change the views of the relationship: One goal is to help the couple see the relationship in a more objective manner. The couples hopefully will learn the stop the "blame game" and see their interactions in the context of different situation.
. Modify dysfunctional behaviors: Another goal is to help change the way the individuals behave with each other. The therapist will help each individual alter negative the negative behaviors that they engage in such as name calling, verbal abuse, throwing objects, and other inappropriate gestures that adds fuel to the fire.
. Decrease emotional avoidance: Couples who avoid expressing their emotional feelings put themselves at greater risk of becoming emotionally distant and growing further apart. Quite often when there is emotional avoidance infidelity can occur. skills. If couples continue to communicate in combative conflictual manners, they will not survive. They need to learn how to listen more attentively and empathetically.
. Promote Strengths: Another goal of the therapist is to point out the strengths of the relational who many couples often forget during conflict. It is important to remember who works, or worked in the past and build on these strengths. We at Bergen Alliance hope that if you are in a troubled relationship, do not give up when things become more difficult. Troubled relationships can be fixed and can survive long term. At times it appears easier to just give up, then to fight for what brought you together in the first place. It is true, that not every relationship can be repaired, but every relationship deserves a try.